Put your imagination to the test with this LEGO program for all ages. We'll supply the bricks; you bring the creativity. Children under 6 must be accompanied by an adult. What is the Healthy Living Food Box Program? It supports families and individuals and improves health by providing access to healthy foods and will help to stretch your dollar. How does it work? You order and pay for your Healthy Living Food Box on the 1st Wednesday of each month, OR on Pick-up day on the 3rd Wednesday. Each Food Box costs $20.00 (cash only) Can anyone take part? Yes, it is open to everyone and anyone. No restrictions. Bring your Order form and payment to the Sunset Country Métis Hall at 714 Armit Ave. 11:00am –4:30pm on the first Wednesday of the month. Check out the 44 items that are being auctioned off in the surplus assets sale. Bids are due by Tuesday, October 24 @ 2:00pm. Come, Ask Questions, or have your car seat checked to make sure it is installed properly. The movie " A Mindful Choice" shows the journey of various people and groups as they find peace in spite of challenging life circumstances. Lauren and Mati, an experienced meditator and a teacher from Thunder Bay, will also do introductory talk on The Bright Path Ascension meditation. This event is free of charge and open to anyone seeking inner peace, happiness and freedom from stress. Annual General Meeting and Swearing in of new Executive follows luncheon. Starting point is the Rainy Lake Square, pick up your map and proceed to participating businesses on Scott St.
a completed stamped map will be entered into draws for prizes at 1pm. Families can enjoy stories, songs and activities for children ages 2 -6 with their parent or caregiver. Bring: Pokemon Cards and/or a Ninetendo DS or 3DS with a Pokemon video game. We play Pokemon cards in the unlimited format, which means that you can use cards from any set to build your deck! Celebrate with stories, songs and activities for children ages 2-6 with their parent or caregiver. Shop for a gift or sweet treat for your valentine! This free program is filled with stories, finger rhymes and songs. Drop-ins welcome / registration preferred. The next meeting of the Royal Canadian Legion Branch #29 Legion Ladies Auxiliary will be held on Wednesday, June 14th, upstairs at the Fort Frances Legion Building. A potluck will happen at 6 pm with the meeting to follow at 7. Bring Pokemon Cards and/or a Nintendo DS or 3DS with a Pokemon video game. We play Pokemon cards in the unlimited format, which means that you can use cards from any set to build your deck! Share your interest in knitting, whether you're a beginner or a kid pro. Please bring your own supplies if you can. Bring: Pokemon Cards and/or a Nintendo DS or 3DS with a Pokemon video game. We play Pokemon cards in the unlimited format, which means that you can use cards from any set to build your deck! The Fort Frances Volunteer Bureau and Judy Kielczewski are holding a free lunch for all community volunteers on Saturday, February 10 from 12-2 pm at the Volunteer Bureau (Old CN Train Station). The event is an open invite to thank all of the volunteers in our community who give back to others. Whether you run a hundred fundraisers or shovel your neighbour's driveway once in awhile, you're invited! Come and let us make a delicious BBQ lunch for YOU! The International Boundary Waters Dragon Boat Foundation & Club will be hosting a BBQ lunch and fundraiser in the Safeway parking lot from 10:00 am to 2:00 pm on Friday, May 18th. You can register for the upcoming festival or season, get all the information you need, and show your support for our local dragon boat club! Anniversary Celibration 50 yrs 250 Church St.
Come celebrate 50 years at our Church street location. Colour Party Parade at noon. Cake and coffee downstairs. Everyone welcome. Read more about Anniversary Celibration 50 yrs 250 Church St. This will be a fun, empowering day filled with motivational guest speakers, games and a free photo shoot. Call or text Lyz Klem at 276-6063 to sign up. Customers and vendors are all welcome to come on down to the Rainy Lake Market Square. Bouncing and tickling rhymes, songs and stories for babies from birth to 18 months with their parents or caregivers. UNFC Aboriginal Family Support Program with the Fort Frances Public Library are hosting a Family Valentine Party. Stories, Crafts and Snacks provided. Dial A Ride available. Are you a budding Social Entrepreneur or Enterprise!? We will discuss how your social values and your business can improve community issues and contribute to social good! Funding opportunities too! The Fort Frances Public Library invites you to start Canada’s 150 birthday celebration with a special event on Wednesday, June 21st! National Aboriginal Day observes the heritage, diverse cultures and outstanding achievements of First Nations, Inuit and Métis peoples in Canada! The library hosts this special evening, beginning at 6:30 pm, with a cultural presentation by the OC Band followed by the Crossroads Youth Hand Drum Group. Stay for refreshments, being provided by Friends of the Library. Miigwech! Family friendly movies each Friday in July & August. This Friday we are playing "The Secret Life of Pets". $5.00 per child, children must be accompanied by an adult. This event is best suited for children 6 & up. Businesses are open late until 8pm! The International Boundary Waters Dragon Boat Club will be having their Dining with Dragons Fundraiser on Saturday, June 24th at the Copper River Inn, Fort Frances. Cocktails are at 6 pm and dinner, featuring an Asian inspired menu, will be served at 6:30. Music will be provided by Party Rock DJ Services and decorations will be done by Diane Gibson. Tickets are $45 and are available at the Copper River Inn. For more information, visit www.boundarywatersdragonboat.com. Do you love Minecraft? Get together with other Crafters to build, create and play! Weekly online registration required, space is limited. A fun Christmas party for families, with games, stories, crafts....and Santa. There will be a FREE photo shoot available with our inhouse photographer. Sponsored by Friends of the Library. Bring your imagination to the test with this Summer LEGO club for all ages. We'll supply the bricks. Children under 6 must be accompanied by an adult. The Royal Canadian Legion Branch #29 Ladies Auxiliary presents their Canada Day Pancake Breakfast on Saturday, July 1st. The breakfast will happen from 7 to 9:30 am, upstairs at the Fort Frances Legion. Pancakes, ham, juice, coffee and tea will be served. Cost is $7 for adults and $3 for Children 5 & under. Everyone welcome. Family friendly movies each Friday in July & August. This Friday we are playing "Smurfs- The Lost Village". Family friendly movies each Friday in July & August. This week we are playing "Despicable Me 2". Over 50 vendors! Kids' corner! Join the fun at the annual Teddy Bear Picnic. $5.00 per person / Hot Dogs $2.00. Advance tickets can be purchased at the library. Bouncy Castle, Barrel Train, Dr. Booth, Games & Music. Don't forget to bring a blanket, socks for the bouncy castle, picnic & your teddy bear. FF Legion Ladies will meet at 6pm with a short meeting followed by supper at 7pm. We will finish up with a $15.00 gift exchange and games. Please bring a non-perishable food item for the food bank. Beverages, Fruit, Pancakes and Sausages. Learn new skills and make something cool to take home. Free for kids. Children under 8 must be accompanied by an adult. Berries, cake, ice cream, and a drink for $5. Held at LaVerendrye Hospital. All proceeds to support LaVerendrye Hospital Auxilary projects! Do you love Minecraft? Get together with other Crafters to build, create and play! Weekly online registration is required, space is limited. Bring: Pokemon Cards and/or a Ninetendo DS or 3DS with a Pokemon video game. We play pokemon in the unlimited format, which means that you can use cards from any set to build your deck! Contact the Rainy River District Campus to Register today! A group of partners was approached about youth programs/youth centre in Fort Frances. We’ve done some research to see if there is a need to offer more youth programming or if we all need to pull together and gather information for youth to know what is available in Fort Frances. A March Break blanket making workshop will be held on Wednesday, March 14 from 1-3 p.m. at the Sunset Country Métis Hall (714 Armit Ave.). All ages welcome. Snacks and refreshments provided. No RSVP necessary. Mini-Makers Mini-Entrepreneur Vendor Market featuring young entrepreneurs selling their wares will take place from 11 a.m.-1 p.m. downstairs at Curvy Chick (256 Scott Street). Drop by and support young entrepreneurs. Legion 29 General Meeting & Elections of Officers. Read more about Legion 29 General Meeting & Elections of Officers. Learn new skills and make something cool to take home. Children under 8 must be accompanied by an adult. Held at FFHS at 7:30 p.m. Come out and see our beautifully dressed couples! Friday, December 1st from 5 p.m. -9 p.m.
Saturday, December 2nd from 9 a.m. - 5 p.m. The Science North team are bring robots and coding to the library. Sign up on the library's website for one of 3 sessions. The program is free and recommended for ages 8 -12. Come to the copper river on November 25th for a day of holistic healing in support of the rainy river disctrict shelter of hope. 2nd Annual Fort Frances Mother's Day Market. Over 65 vendors to shop at. The Science North team are bringing robots and coding to the library. Sign up on the library's website for one of 3 sessions. The program is free and recommended for ages 8 -12. Start your Family Day off with a Pancake Breakfast served up by some of your local Air Cadet members. Conference series proudly announces the “25th World Cardiology Conference” which will be held during July 10-11, 2019 at Osaka, Japan. The theme of conference is “New Insights in Cardiology for a diverse World”. 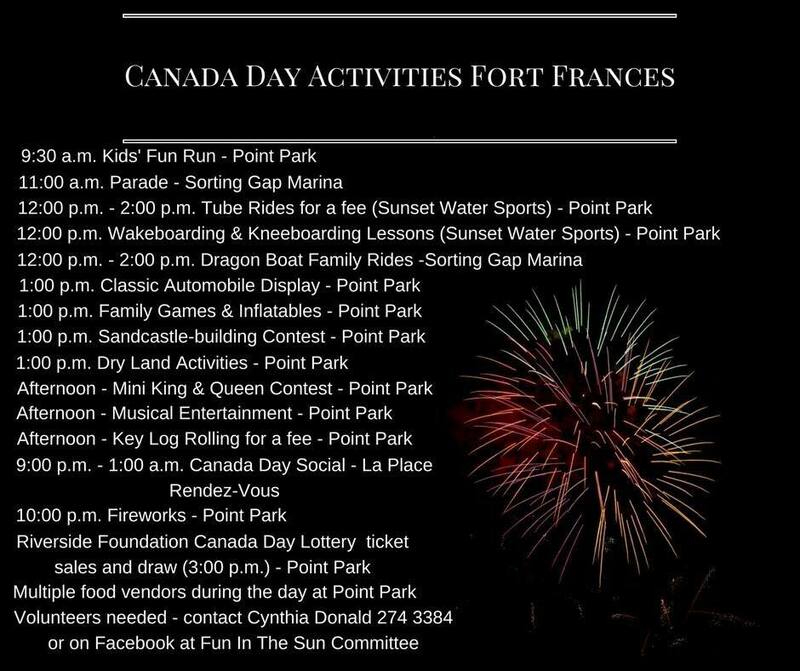 Read more about Canada Day Festivities! Family friendly movies each Friday in July and August. This week we are playing "The Good Dinosaur". Join us at the 34th Fort Frances Fundraising Banquet and Charity Auction, celebrating the 80th anniversary of Ducks Unlimited Canada at the Fort Frances Curling Club. A clothing and bake sale for raise funds for the upcoming "Dress for Work" clothing sale will take place on Saturday April 28 from 8-11 a.m. downstaurs at Curvy Chick. All clothing $2; baking $1-4. Make it Move! Drop in style stations set up from 11- 2 pm. Live show "Powerful Planet" presented at 12 noon. $2.00 per person, all ages welcome. Join us for a Valentine-themed fundraiser. The perfect opportunity to find a Valentine treat for you, or for someone special in your life! Ring in the New Year at La Place Rendez-Vous from 5 p.m. to 10 p.m.
- LIVE music, by Quest for the Best winner, Brianna Eldridge & friends. - Make a Reservation to be automatically entered for a chance to win a free appetizer on New Year’s Eve! No darts experience necessary, come out for fun! Gather your friends and family and capture the special moment in your life. Mike Anderson will be present at the Rainy Lake Squares to take pictures. Pop Up Play Thursday August 10th 10am-12pm at the Legion West End Park! Lots of activities and games including soccer, bean bag toss, parachute games, giant games, baseball, volleyball, scoops, skipping ropes, croquet, frisbee, and much more! We will have an ice cold jug of water and a sliced up watermelon in the shade. Please wear sunscreen and a hat! Pork Cutlet Dinner with all the trimmings. $15. Come join us at the border to welcome our American fishing friends and open the tourist centre for the 2018 season! There will be a bake table. Admission is $8 for adults, everyone welcome! Come trick-or-treat at the Fort Frances Library from 5-7 p.m.! The Fort Frances Fire Brigade will be picking up trees. Please have the trees lying on their side on the curb. Donations are appreciated. Fort Frances residents have the opportunity to help Canadians with medical or physical disabilities obtain Dog Guides at no cost by participating in the Pet Valu Walk for Dog Guides this spring. Games and activities to bring back active play in neighbourhoods. Free to all and all ages welcome! 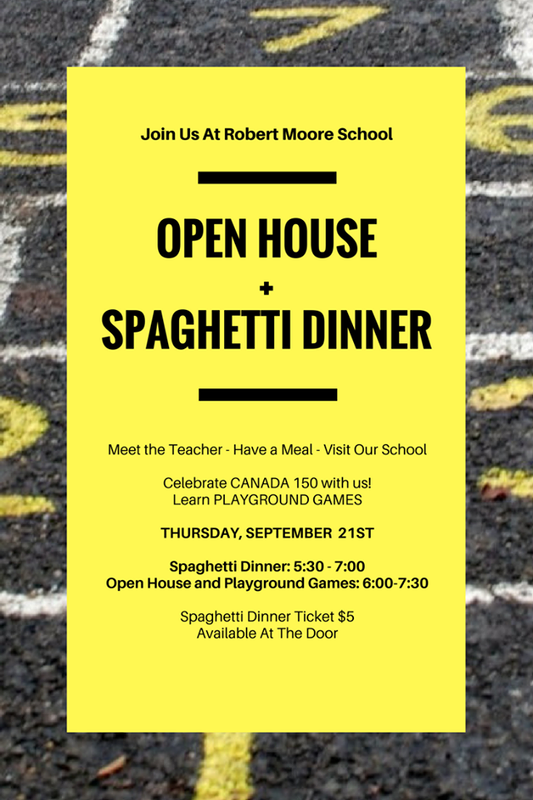 Activities and games including soccer, bean bag toss, parachute games, giant games, baseball, volleyball, scoops, skipping ropes, croquet, frisbee, and much more! We will have an ice cold jug of water and a sliced up watermelon in the shade. Please wear sunscreen and a hat! Family friendly movies each Friday in July & August. This Friday we are playing "Angry Birds". FF Legion ladies aux meeting. Standard First Aid CPR with HCP training available at Confederation College, Rainy River District Campus. There will be a viewing of the movie "A Mindful Choice" which highlights the journey of various people and groups who find their way to peace (through meditation) in spite of challenging circumstances. The presenters, Lauren and Mati, an experienced meditator and a teacher from Thunder Bay, will also do an introductory talk on the Bright Path Ascension meditation. The evening is free of charge, open to anyone who is seeking inner peace, happiness and freedom from stress. Annual Strawberry Social. Come and enjoy strawberry shortcake, used book table, second hand table, bake table, plant table, pick-a-strawberry. All revenues go to support local health care.